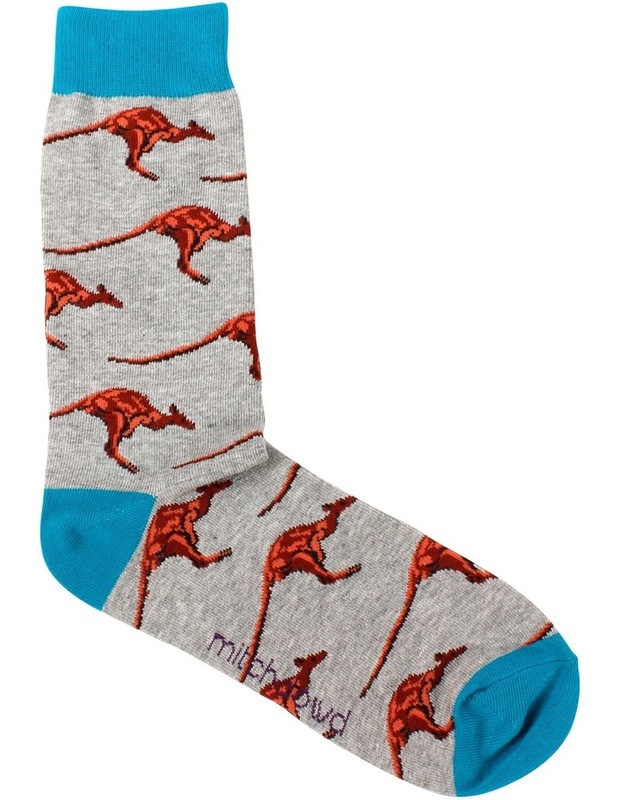 These Mitch Dowd Men's crew socks feature an all over Aussie Kangaroo design and contrast colour toe, heel and double ribbed cuff. Great for everyday wear or a gift idea for anyone travelling overseas. Care Instructions: Warm Gentle Machine Wash.